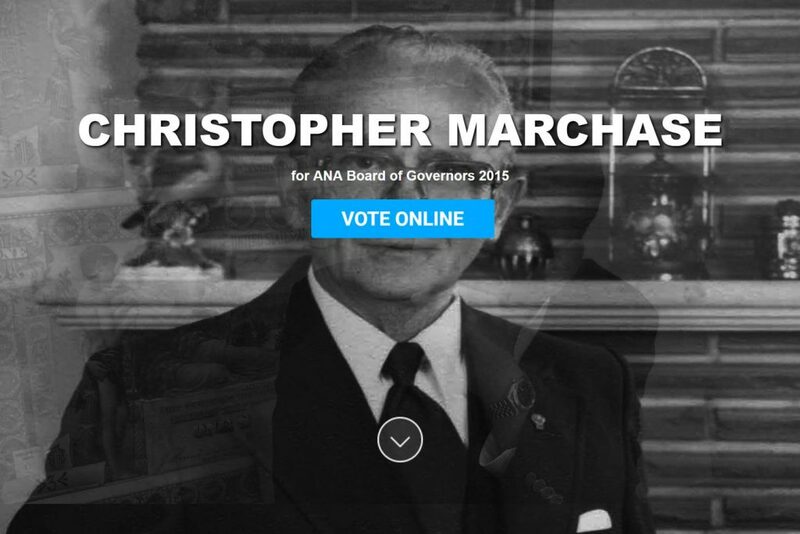 This site was designed to promote the candidacy of Christopher Marchase for the American Numismatic Association (ANA) board of Governors. Marchase would have been the youngest Governor if elected. The site also served to promote numismatics as a hobby and pursuit. 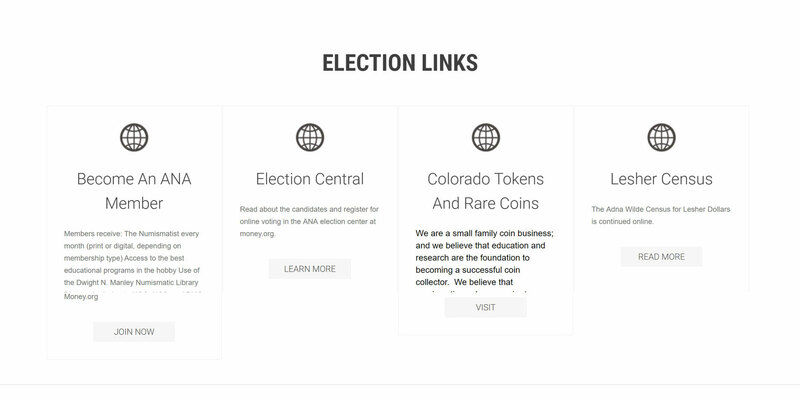 We provided links to join the ANA rolls, learn about rare coins, and engage in the election on the official website.